This is a versatile and efficient approach to high-end range hoods. 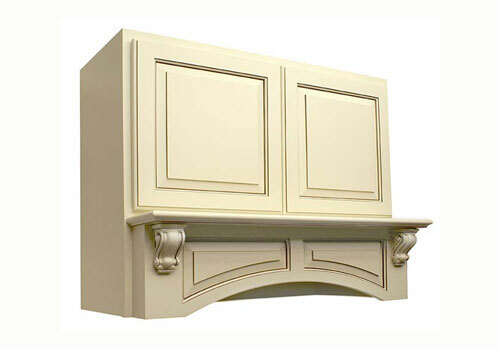 Keystone’s Range Hoods ship ready to assemble built on the CABINOTCH® cabinet box system. All range hoods ship flat with the mantle parts pre-assembled to the face frame. That means you are shipping product, not air! Order them “full cabinet” or face frame only. Click to learn more about Keystone RTA Range Hoods.